CalWest Recycling has shredding capabilities for your destruction requirements. We ensure that proprietary and/or security-sensitive equipment is rendered completely unusable and unidentifiable, and we prevent unauthorized removal of equipment from our facility. Our Shredding and grinding process leaves no doubt that material is destroyed and we issue a certificate of destruction. 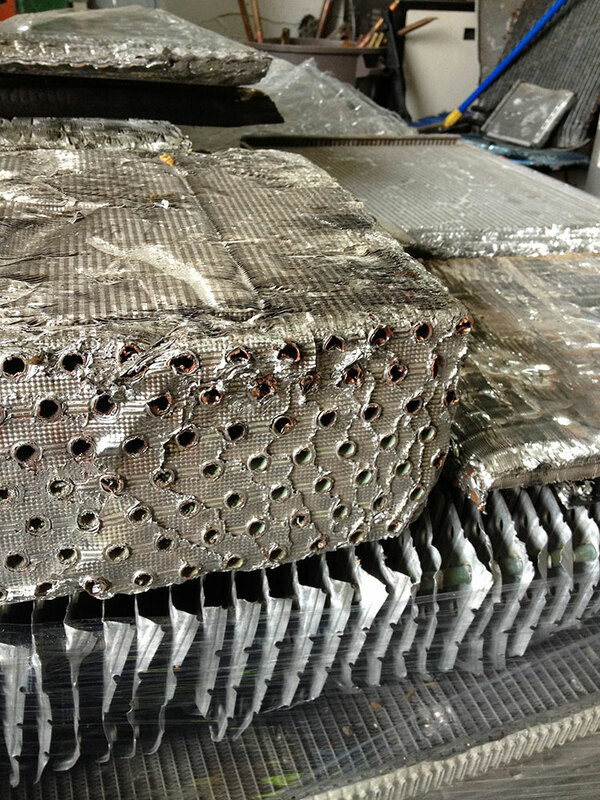 Upon arrival at our facility, all material is carefully tracked and given a lot number. Once the process begins a set of before pictures are taken of the material to be destroyed. Another set of after pictures are then taken to show our customer that there proprietary equipment has been properly destroyed and a certificate of destruction is issued. Many high-tech products are manufactured with precious metals. CalWest Recycling provides the service of refining this material for the extraction of these and other metals. 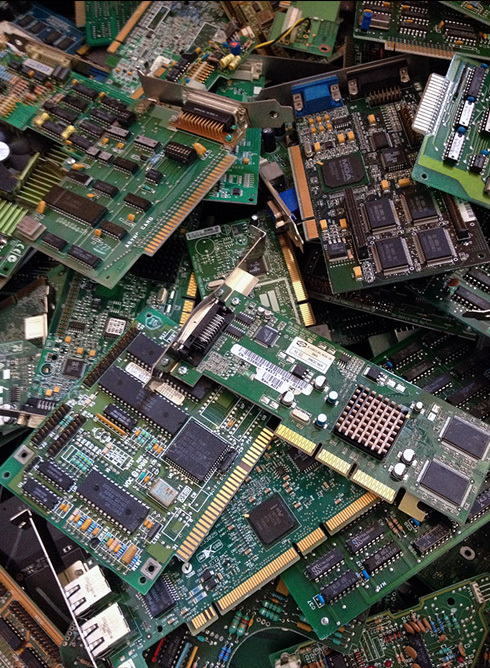 CalWest Recycling has over 30 years of experience in the recovery of precious metals from complex materials ranging from circuit boards and integrated circuits to fuel cells and precious metal containing solutions. The process starts with sorting and de-manufacturing of equipment in one of our worldwide facilities. We'll identify and reclaim valuable metals. Then, we process these materials through top industry resources, helping you defray the costs of recycling. CalWest Recycling will process and settle each lot individually in 30 days giving our customers the maximum asset recovery of their excess electronic component and E-Waste stream. CalWest Recycling is a professional Surplus Inventory Liquidator, providing a fully integrated liquidation approach to selling Excess Inventory, from Computers & Consumer Electronics, to soft goods and other General Merchandise. Our multi-channels include B2B online websites and vast internal buyer’s database consisting of 16,000 registered buyers that we email. The automated selling tools we utilize are linked to the Excess Inventory fulfillment warehouse, and seamlessly integrated with various payment service companies. CalWest Recycling only markets product in stock. This provides the best pricing and delivery time to our end-user customers. Product can be housed in one of our warehouses or on an exclusive agreement with our customers, in their warehouse, thus eliminating the necessity to pull and ship whole inventories to our facility and allowing title to remain with the customer until the product is sold. 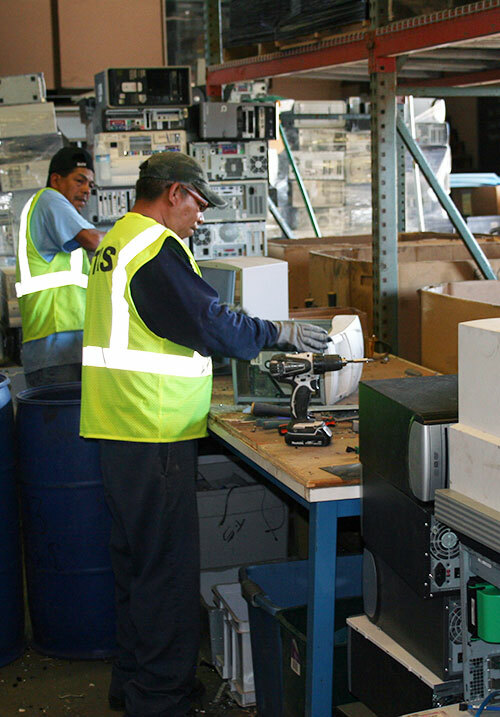 Our services make end-of-life, reconditioned and surplus equipment available to buyers worldwide. We handle everything from, sales to credit card processing, shipping/fulfillment and RMAs. Cisco, Sun, Juniper, Brocade, Lucent, Alcatel, Avaya, Nortel, Foundry, Motorola, Nokia, Test- equipment, Memory , Computers, LCD & Plasma Televisions, RMA returns, wire & cable, wifi equipment , clothing, and much more! The explosion of the high tech computer industry has resulted in an enormous increase in the number of electronics manufactured per year. Of course, with each passing year-now every six months-the older units are becoming out of date. 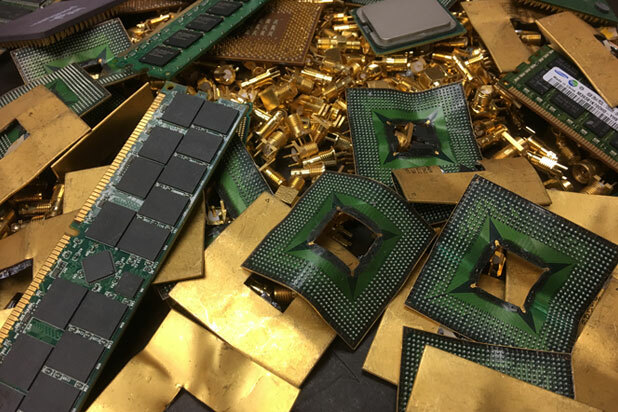 Now there is an opportunity to recycle the precious metals from your out of date components rather that just simply adding them to the increasing stream of electronic waste. CalWest Recycling e-waste management team has developed many close long term relationship with refiners worldwide to ensure that all material is handled and processed to meet all governmental regulations. Non-Ferrous Metals Aluminum, Copper, Stainless, Brass, Wire, Radiators, Precious Metals and more.